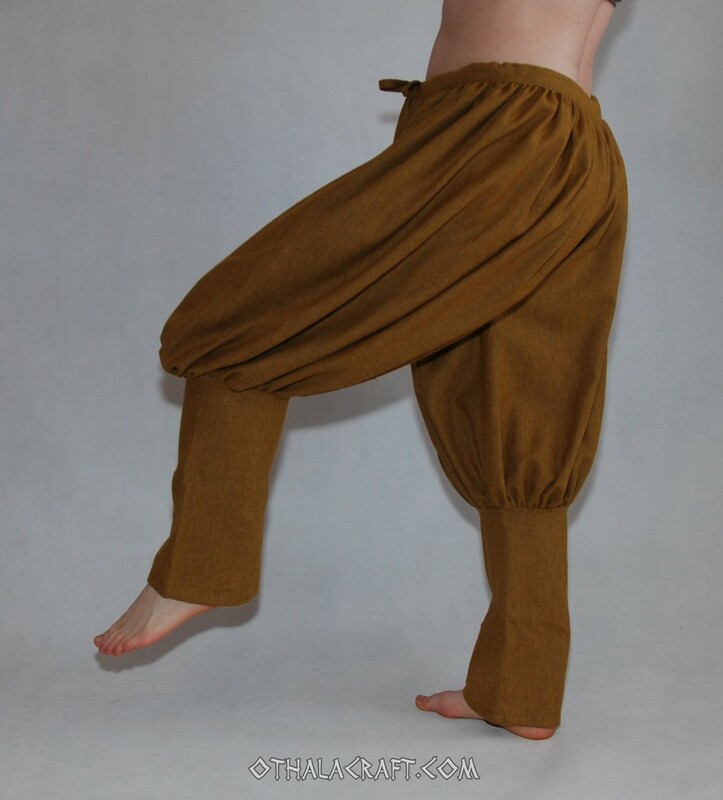 Rus Viking trousers from honey shade wool. 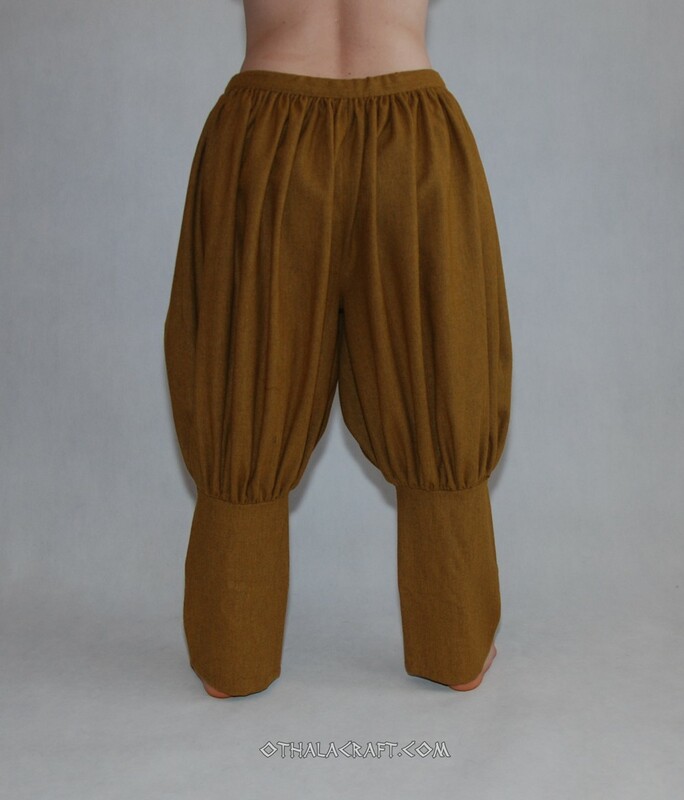 Rus Viking trousers made from honey 96% wool. Trousers pleated in belt and trouser-leg. Additionally, every visible stitch is hand made with a linen thread, inside double stitch are machine. 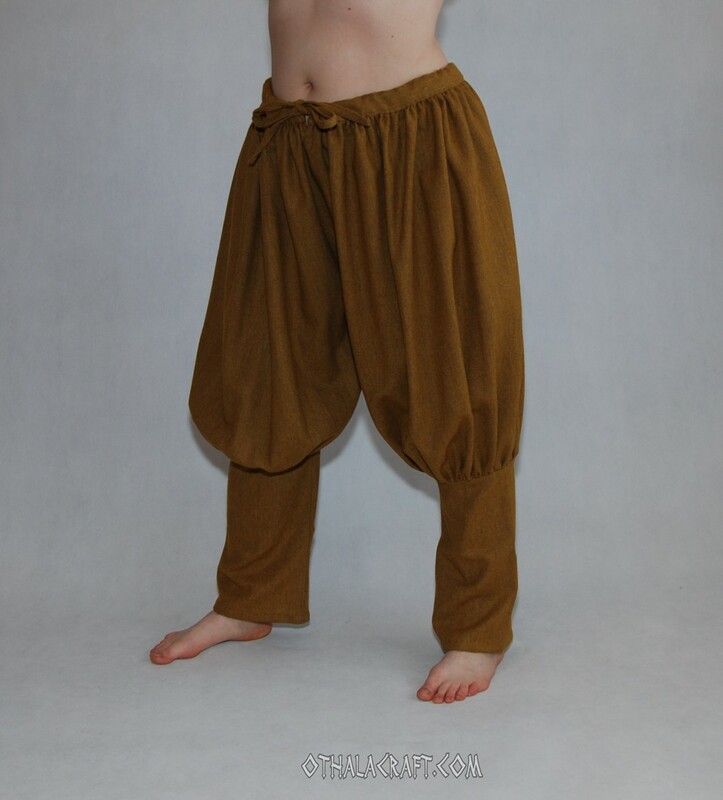 XS size girth in belt 96 cm (tolerance from 86 cm to 96 cm), length of trousers from belt to trouser-leg 106 cm; from crotch to the ankle 68 cm, width of trouser-leg 23,5 cm x 2; length of trouser-leg 35 cm; length of slit 11 cm. 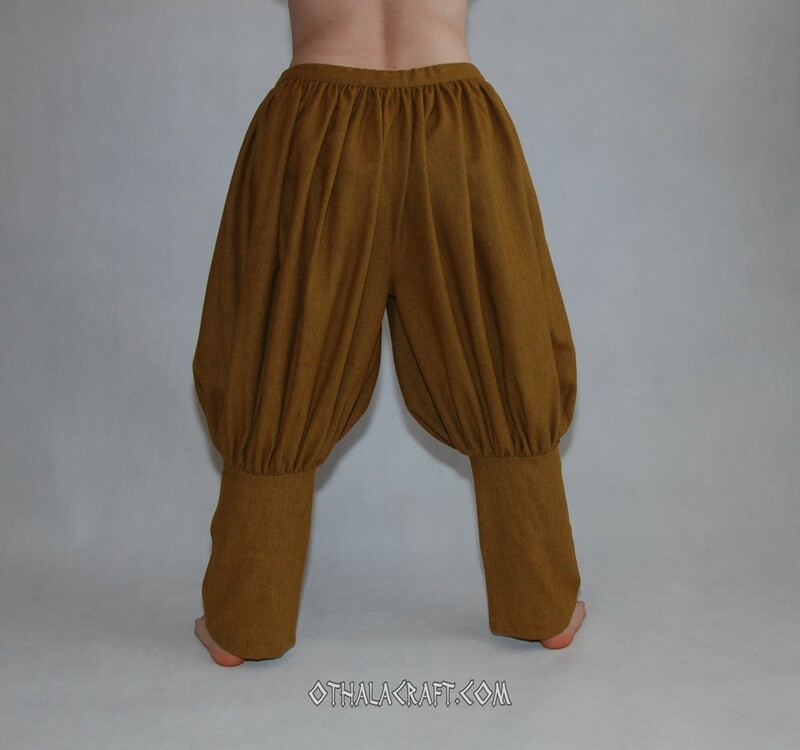 S size girth in belt 102 cm (tolerance from 92 cm to 102 cm), length of trousers from belt to trouser-leg 108 cm; from crotch to the ankle 72 cm, width of trouser-leg 23,5 cm x 2; length of trouser-leg 37 cm; length of slit 10 cm. M size girth in belt 104 cm (tolerance from 98 cm to 104 cm), length of trousers from belt to trouser-leg 109 cm; from crotch to the ankle 68 cm, width of trouser-leg 24 cm x 2; length of trouser-leg 36 cm; length of slit 10 cm. L size girth in belt 108 cm (tolerance from 102 cm to 108 cm), length of trousers from belt to trouser-leg 109 cm; from crotch to the ankle 69 cm, width of trouser-leg 24 cm x 2; length of trouser-leg 36 cm; length of slit 10 cm. XL size girth in belt 112 cm (tolerance from 104 cm to 112 cm), length of trousers from belt to trouser-leg 109 cm; from crotch to the ankle 69 cm, width of trouser-leg 23,5 cm x 2; length of trouser-leg 36 cm; length of slit 10 cm. 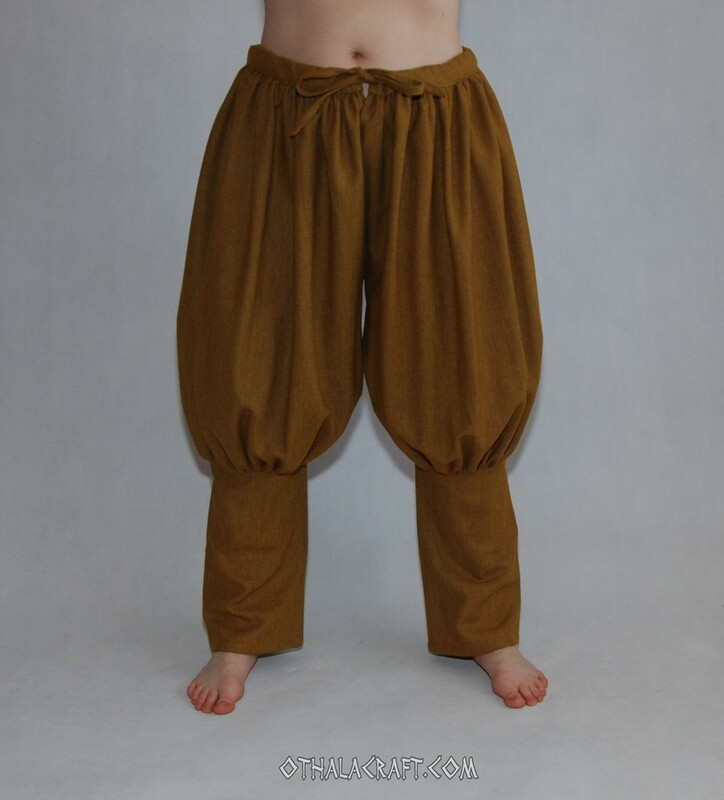 XXL size girth in belt 116 cm (tolerance from 110 cm to 116 cm); length of trousers from belt to trouser-leg 110 cm; from crotch to the ankle 69 cm, width of trouser-leg 23,5 cm x2 cm; length of trouser-leg 36 cm; length of slit 11 cm. XXXL girth in belt 128 cm (tolerance from 120 cm to 128 cm); length of trousers from belt to trouser-leg 108 cm; from crotch to the ankle 81 cm, width of trouser-leg 23,5 cm x2 cm; length of trouser-leg 36 cm; length of slit 10 cm. 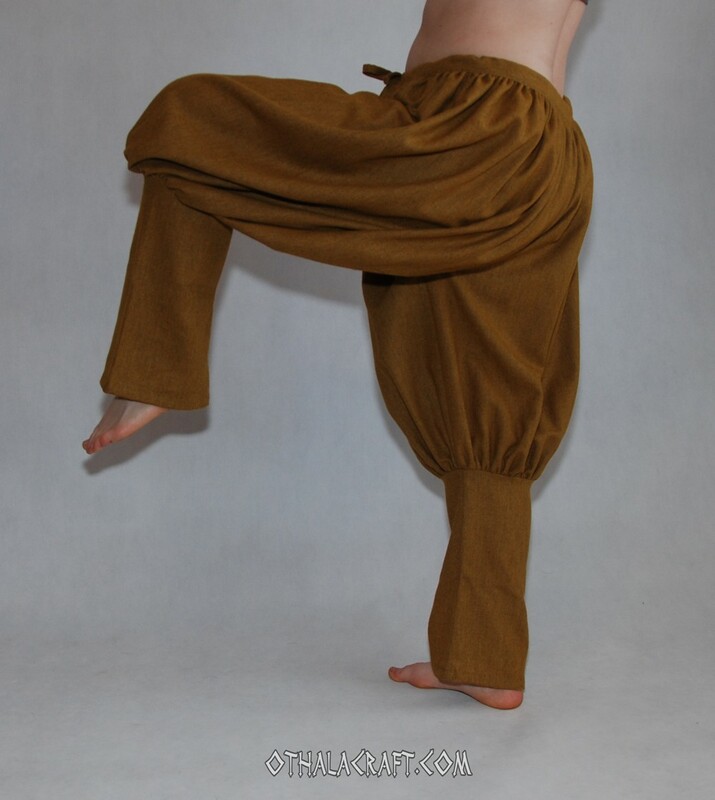 XXXXL girth in belt 132 cm (tolerance from 126 cm to 132 ) cm); length of trousers from belt to trouser-leg 108 cm; from crotch to the ankle 81 cm, width of trouser-leg 25,5 cm x2 cm; length of trouser-leg 36 cm; length of slit 10 cm. 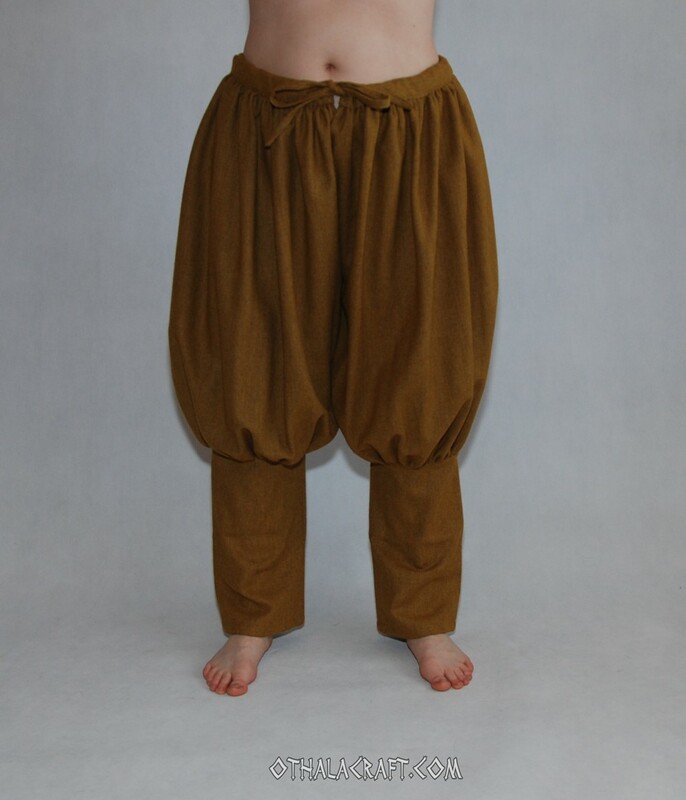 XXXXXL girth in belt 140 cm (tolerance from 130 cm to 140 ) cm); length of trousers from belt to trouser-leg 109 cm; from crotch to the ankle 81 cm, width of trouser-leg 27 cm x2 cm; length of trouser-leg 36 cm; length of slit 10 cm.